A bit busy so I haven't had a chance to post to the book challenge. Here goes. I've already covered some book series so I won't revisit them. I read Nancy Drew when I was growing up. I have a lot of the Discworld series. The Lord of the Rings trilogy is a series. There's also the Hitchhiker's Guide to the Universe, but I haven't read all four books. I'm working through Jaspar Fforde's Thursday Next series. All of these are great books and it's wonderful that there are more in them to keep the story going. 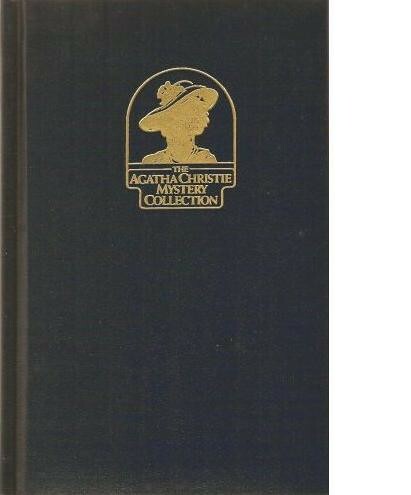 But I think the longest running series I have continually read has been this one, the Agatha Christie Mystery Collection. I have no idea how I got an offer to buy these but I did. One a month came to the house for years. I'm not sure if I got all of them but I know I got a lot of them. I mentioned Agatha Christie as a book that was descrated when turned into a movie. The problem with her books is that there are so many things going on at once. It's impossible to put all the characters in a book into a movie. Sometimes, that's not too bad. Other times, those bit characters have information that is vital to the plot. I like to read the books and try to figure out who did it. I have never been right. When it's revealed at the end who committed the crime, I'm wrong. I missed the subtle clue, very evident on page 83, that gave Hercule Pirot or Miss Marple just what they needed to crack the case. These books are often dismissed as formulaic writing. With minor twists in the plot, it's the same set up, critics complain. I think there's just enough difference in each story that although the basic outline of the plot is still there, it's a different story. They are a quick read and the kind of book that, once you're finished, you could leave the paperback in the airport for someone else to enjoy.